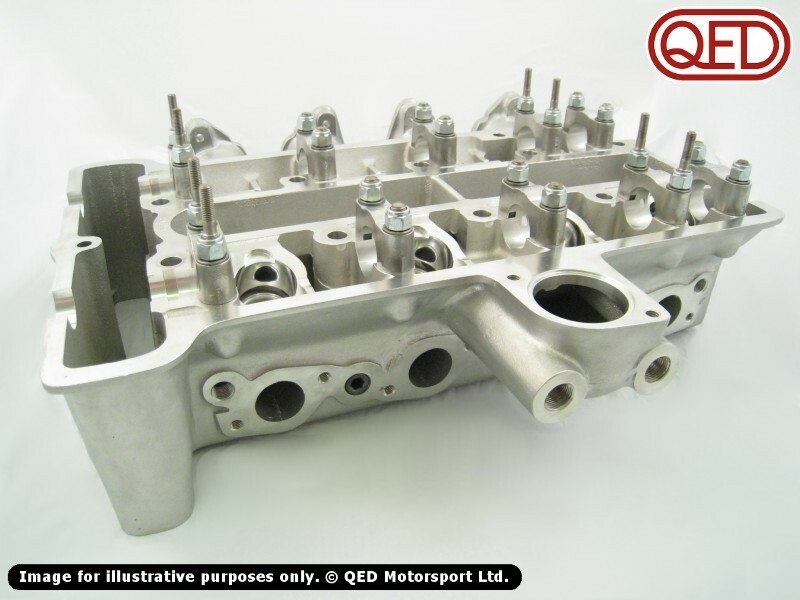 Lotus Cars and QED have combined forces to reproduce the 60’s favourite cylinder head – cosmetically identical to the last of the original equipment units (i.e. 1967-1974) and stamped with the Lotus part number. By taking full advantage of modern materials and production technology we are able to offer new castings suitable for use in even the most fully developed race engines without the concerns raised by the, often uncertain, condition of original cylinder heads that are still in circulation. Our small port cylinder head is suitable for standard and sprint specification applications. This cylinder head, with due camshaft consideration, can be fitted directly to a standard engine with little or no modification, depending on the condition of your cylinder block. Our large port cylinder head is more suited to full race applications. The port area supports valve sizes up to 1.625" inlet and 1.4" exhaust and because of this requires minimal stock removal for final optimisation in a race application. Fitment of 1.7" inlet and 1.45" exhaust valves is possible but these are not something we supply. Both cylinder heads are fully machined and supplied with cam caps and dowels. They do not require cam follower sleeves but they do require cam bearings as the cost of replacing the bearings, should the worst happen, is nothing compared to that of having it line bored, at which point you would require bearings anyway! Hardened seats and colsibro guides can be fitted at extra cost but final optimisation of the port area and combustion chamber is best left to your engine builder as it depends on a variety of factors that cannot be anticipated. We are the only company able to reproduce these heads with the original tooling. QED Lotus Twin Cam cylinder heads are the only ones which are true to the original pattern work, with the original Lotus part number and you can only buy directly from us.